All EAGLE POINTE homes currently listed for sale in Park City as of 04/18/2019 are shown below. You can change the search criteria at any time by pressing the 'Change Search' button below. 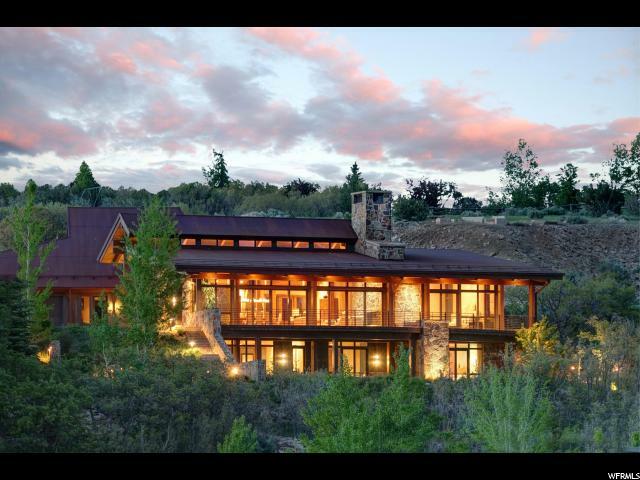 "This stunning private custom mountain contemporary home, designed by John Cottle of award-winning Aspen-based CCY Architects, is perfectly situated atop a hillside, on a private road, in the highly sought after Eagle Pointe subdivision. Upon entering the residence, you are immediately greeted with unparalleled views of Deer Valley and Park City Mountain Resort's ski runs. A sensation of tranquility fills you, letting you know you are home. Not one detail was overlooked from the hand chosen Telluride Gold stone to the German Alder and reclaimed trussel beams to the hand-ground indigenous rock counters to the fully equipped Creston system. Four bedrooms, four full baths, two powder rooms, climate controlled wine cellar and two dedicated offices complete this luxurious 7000 square foot mountain masterpiece." 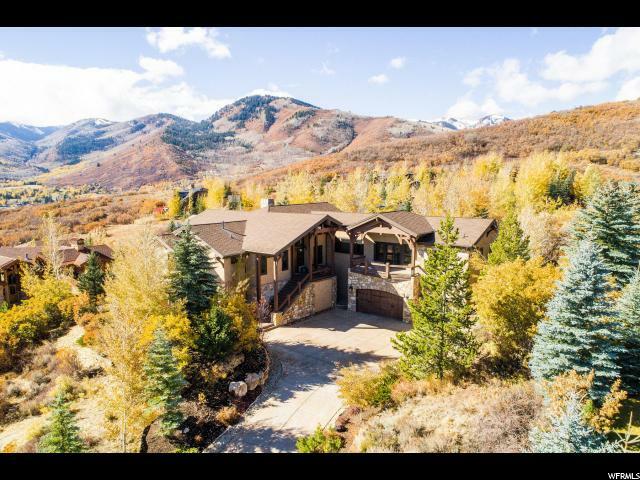 "This spectacular and well-maintained home in Park City's most desirable neighborhood achieves rare distinction as both an ideal family home and an unparalleled entertainment setting. Windows in the great room and a spacious deck capture some of the best ski resort views in Park City-views which both residents and their guests will enjoy year-round. The master and family bedrooms are together on the home's upper level, which affords an optimal layout for young families. The expansive and bright lower level offers a more private space for older children or guests and includes 2 bedrooms, a spacious office which opens onto a lovely patio, a large family room, mini-kitchen and theater/exercise room. A beautiful wine cellar, protected second patio with jacuzzi and spacious three car garage with thoughtfully designed storage round out the amenities in this not-to-be-missed property situated ideally between Old Town and Kimball Junction."